Thanks to your generosity, we raised a fantastic £31,456.53, with an additional €50 from abroad in our first year. Well done everyone. That is a number that makes it all worthwhile. From the start I said that if the event was a success I would run it every couple of years. See you in 2018! Wow! We did it. And most of us survived. A huge thank you to everyone involved. Neil Ferris, Michael Higgins, Cecilia McDowall, Simon Wood. After the world premiere of 'Now is the Time'. 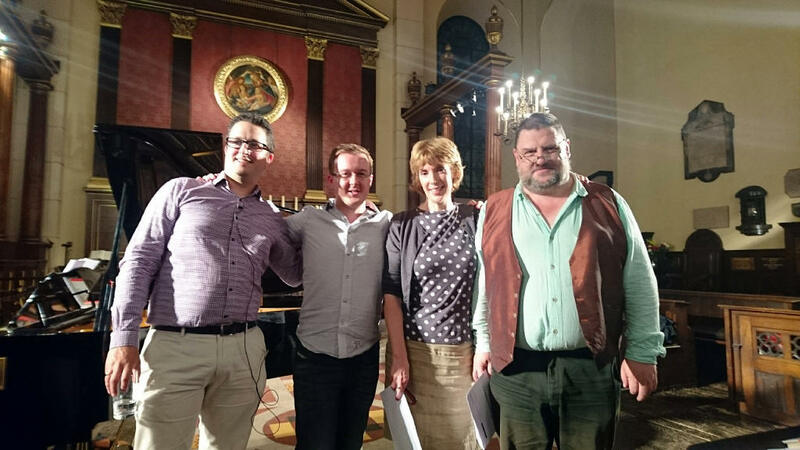 ​Requiem To Cancer took place on 2nd-3rd September 2016 at St Paul's Church, Covent Garden.